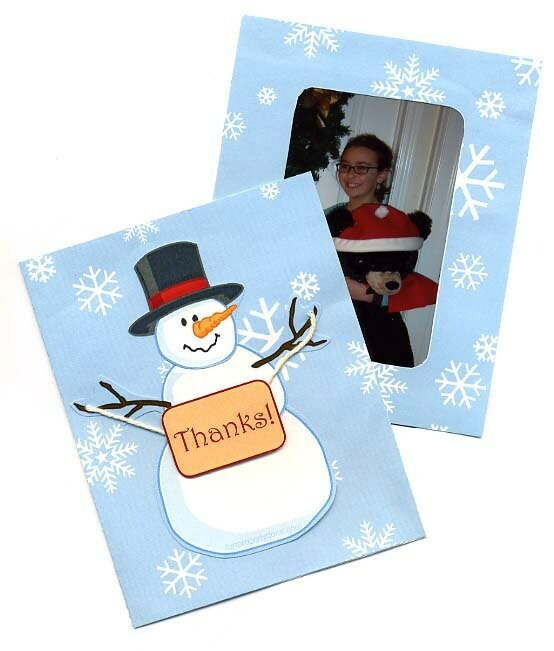 Roll up some fun with a build-your-own snowman card! Cut out the snowballs, glue them in place, and decorate with a face and a sign giving your salutations. Perfect was to send someone (Santa?) thanks for all those great holiday gifts! Inside the card there's space for a photo if you wish. Cool idea! All materials included for making 10 snowman cards.